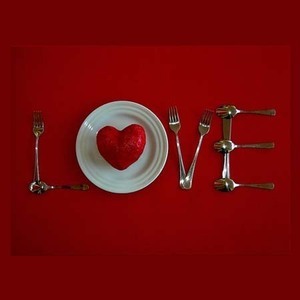 Someone like myself, who prefers Halloween to all holidays, watching documentaries about diseases, sharks and/or massacres, as well as the generally macabre aspects of life, may not truly appreciate the saccharine, heart-shaped miasma that is Valentine’s Day. I do, however, love a good theme. One I can really run with, like the goddess Diana, through a beautiful forest of decorating possibilities! 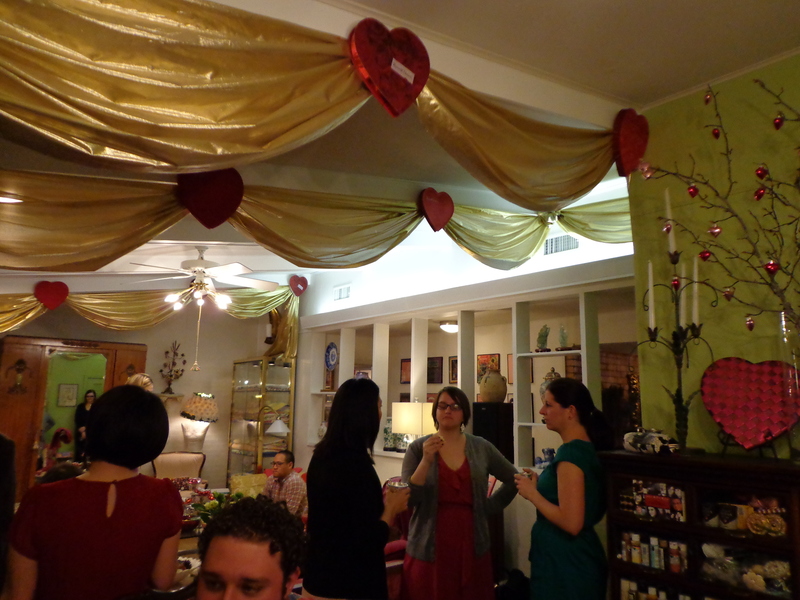 Given this fact, and Valentine’s Day being on a Thursday last year, I decided to host a fabulous Valentine’s soirée! I thought it might be much more enjoyable than a “fancy” date night at some restaurant, surrounded by a bunch of desperate strangers, with outrageously high expectations, eating overpriced steak and mediocre desserts. 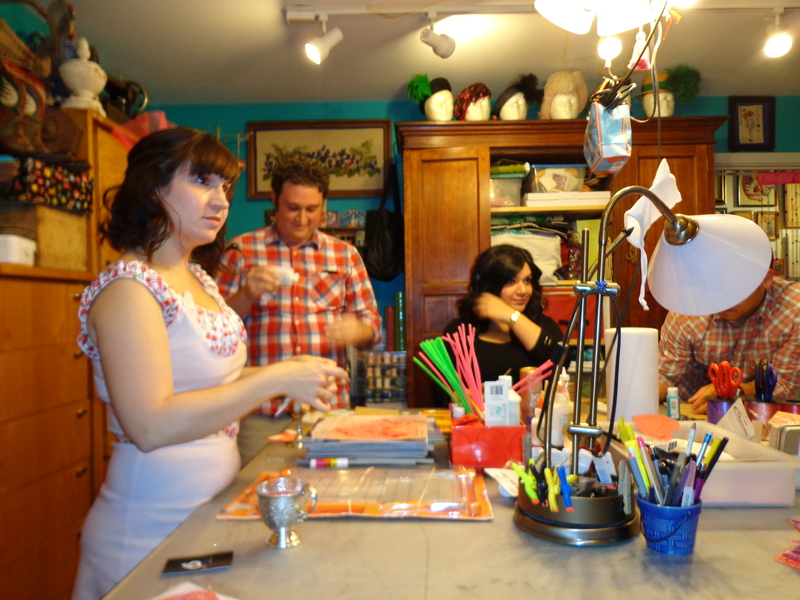 Again, because I have doting parents who are willing to help me, and provide excessive amounts of table settings, decor and silver pieces, this party was an over-the-top success! Not to mention, the house lends itself extremely nicely to this color scheme, given the vintage pink linoleum covering the kitchen, pink curtains in the dining room, pink sectional sofa and dramatic peacock feathers in the foyer. 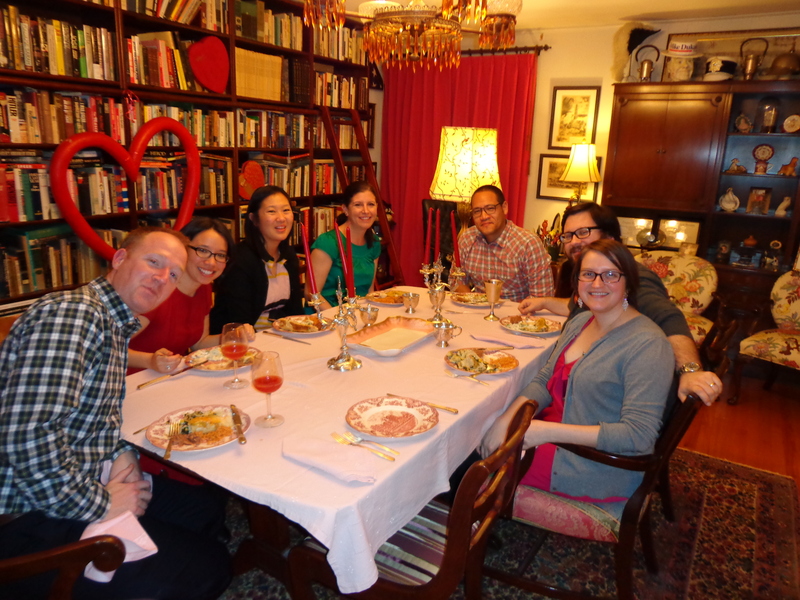 I invited so many people that we had all three tables set up (one in the Library/Study, Dining Room and Breakfast Room). 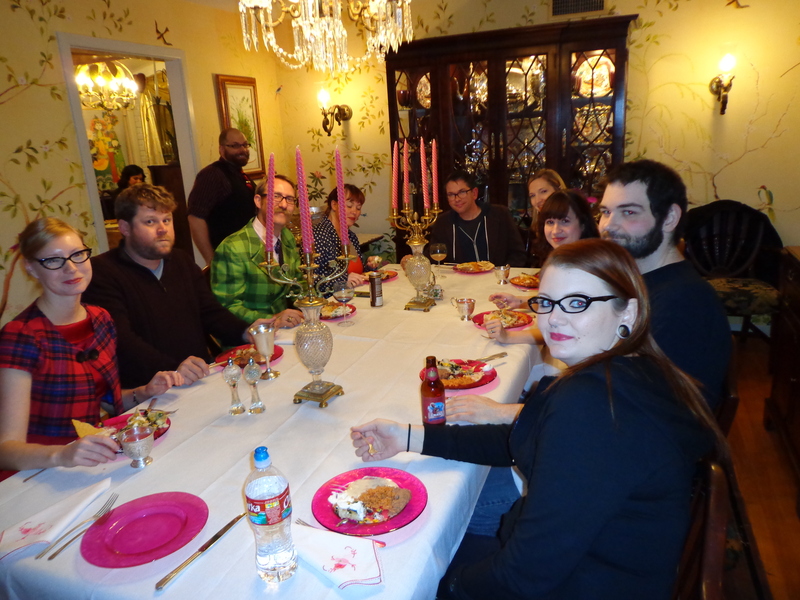 Each was set with a different combination of colors, all of which featured pink heavily. 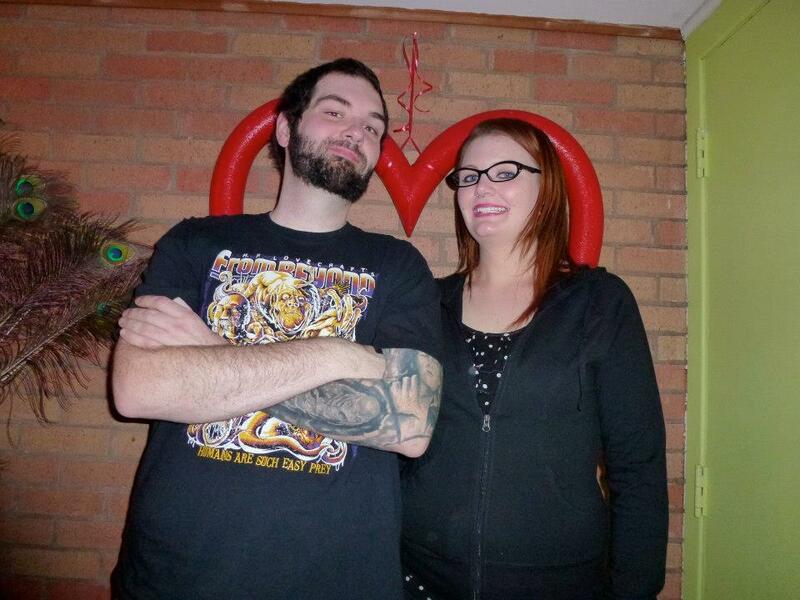 Fancy folks in the Dining/Cherub room! 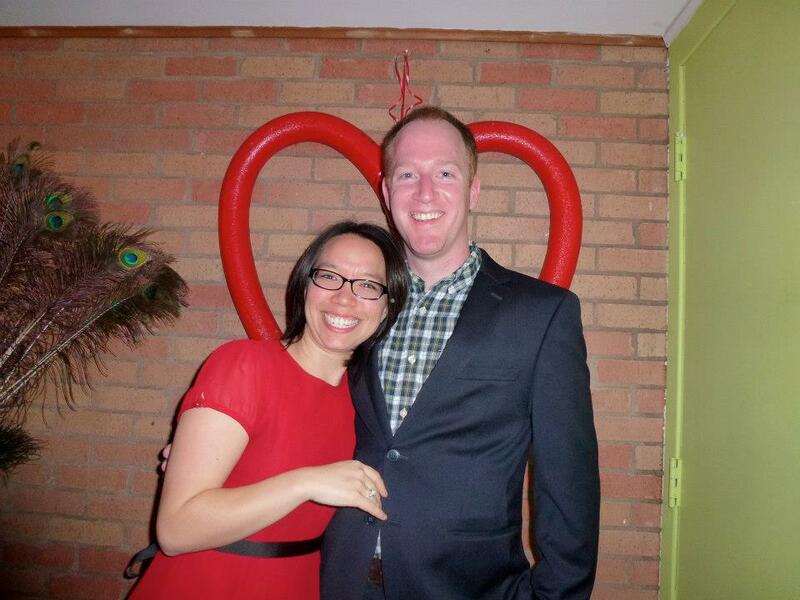 Sophisticated romance in the Study! I served Mexican food, mostly because you can cook a lot of it at once without too much effort, and it has less staining properties than Italian fare. (Red sauce and white table cloths DO NOT mix.) So, I opted to make 40+ enchiladas, with chicken and veggie options! Never before attempted, but they were delicious! I bought rice and beans from Chuy’s (they were SUPER gracious about it), and a couple of my friends provided the (totally necessary) crock pot queso. 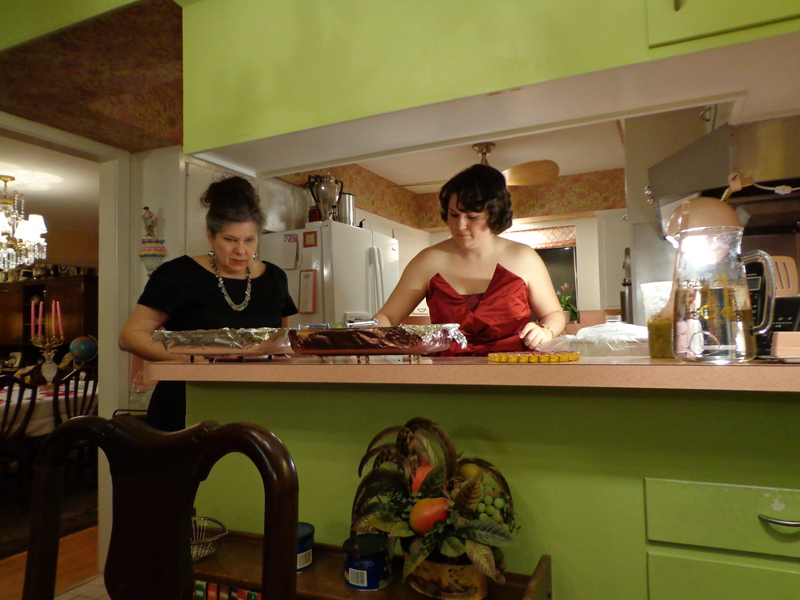 My mother, and guests, were very helpful! 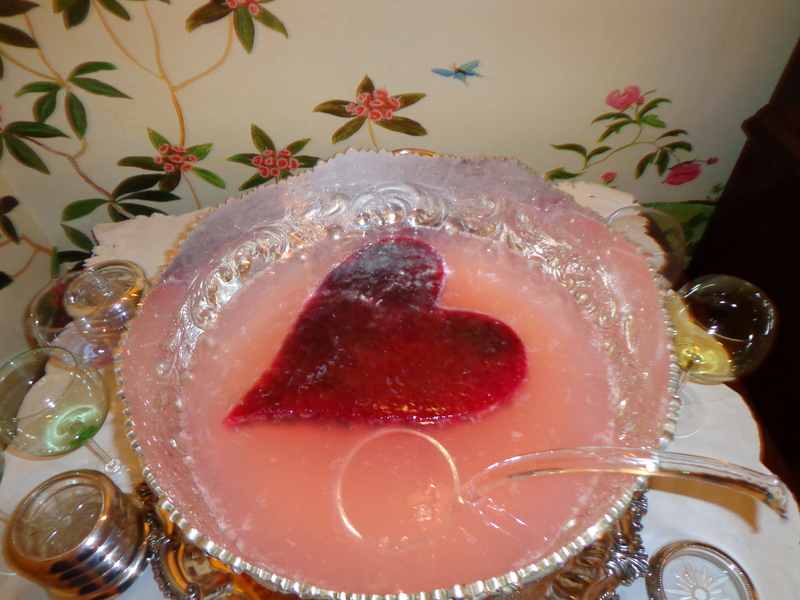 We also had a pink champagne punch (OBVS), with a frozen juice/blueberry-filled heart to keep it cool, and make my great grandmother’s punch bowl look even more fabulous! Gorgeous in all the ways! For dessert (along with the many amazing guest contributions), I made what my family now calls “Strawberry Collapse Cake.” So named because of an incident in my childhood involving my mother, covered up to her elbows in pink, strawberry/coconut icing, weeping and babbling incoherently while what was once a layered cake slowly oozed sideways and simultaneously imploded. Being a relentless problem-solver, she decided to put the “cake” in an antique trifle bowl. Alternating cake, icing, sliced strawberries and cool whip, she created a beautiful dessert, and effectively masked it’s inherent instability. The decor for this party was absolutely incredible. Seriously. We’re talking gold lame swags, punctuated with my mother’s (seemingly endless) supply of heart-shaped candy boxes, in the living room. A silver epergne (pronounced: ay-pern), adorned with piles of hearts and cherubs, not to mention the ever-present pink cow hide rug, and pink and green sofa. 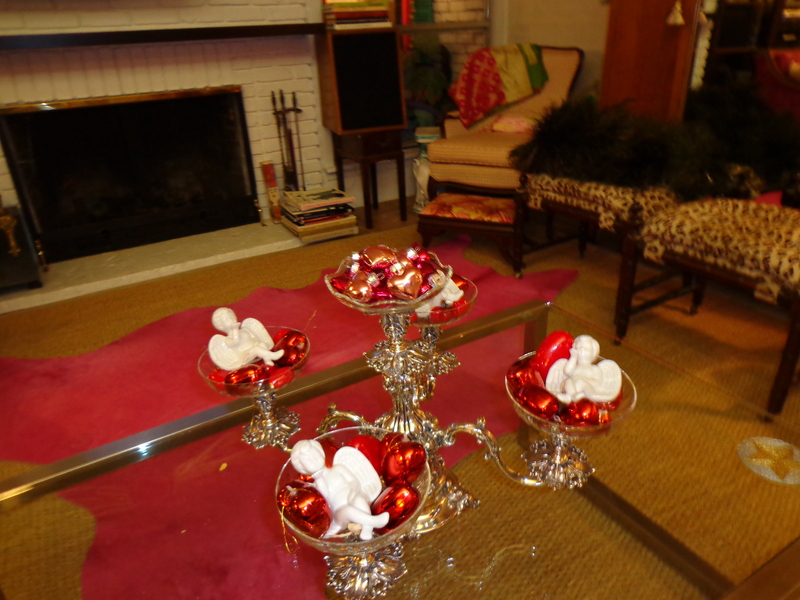 Silver epergne and pink cow hide rug. So classy! 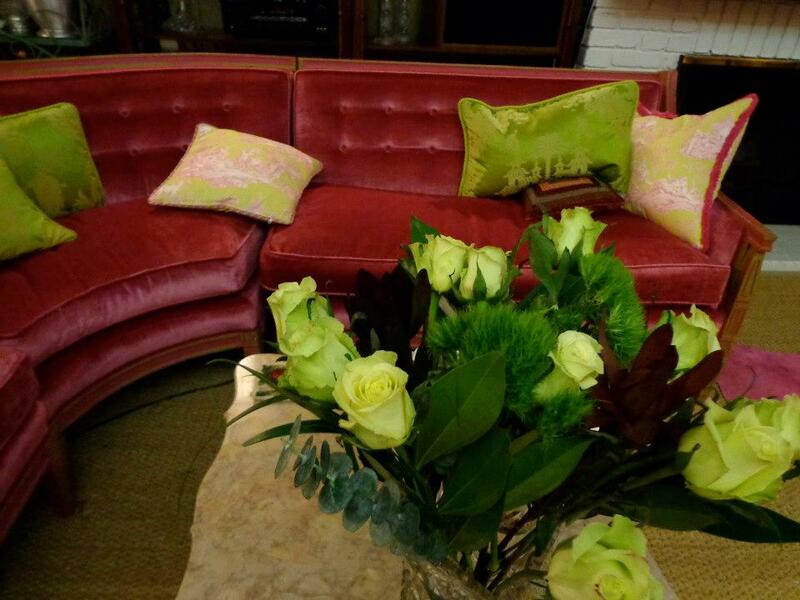 Pink sofa! Plus, gorgeous flowers! 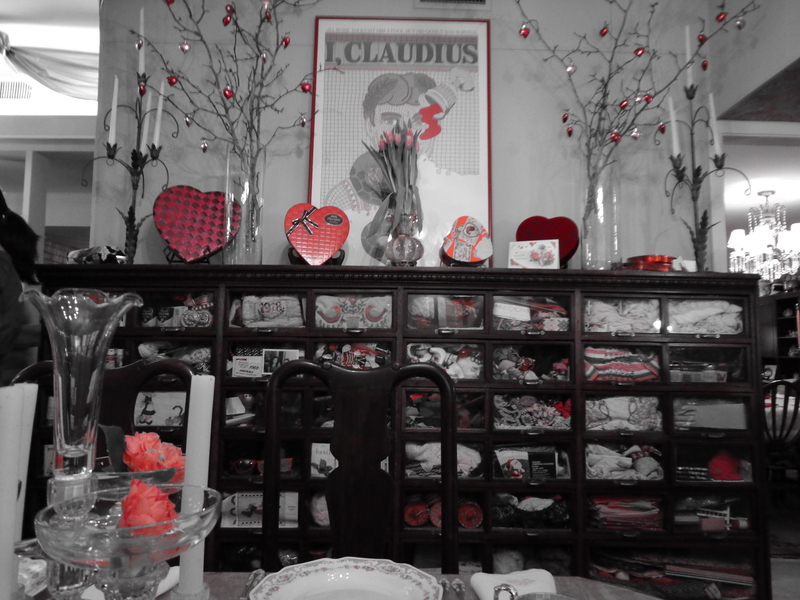 We added some hearts to my mother’s antique wall-o-drawers piece in the Breakfast Room, plus some hanging on her stick arrangements, for good measure. 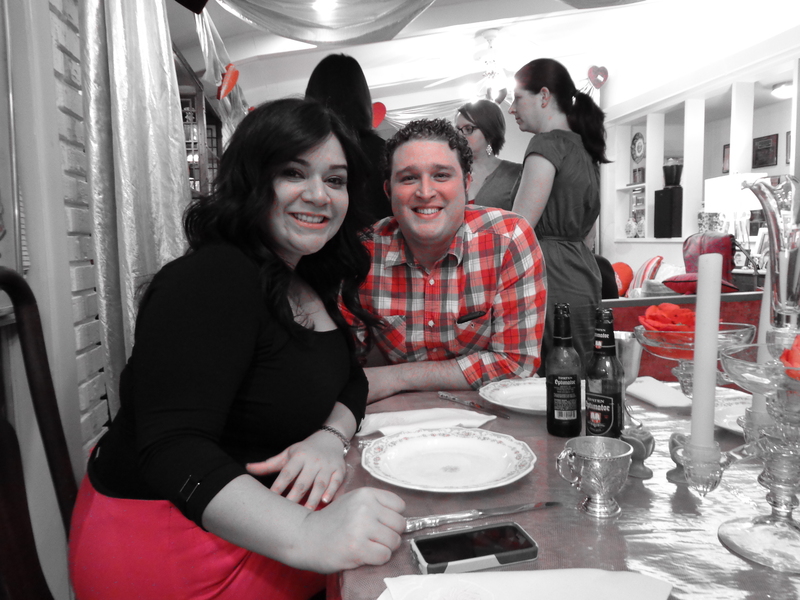 My friend’s camera had a color filter! We USED it! My father’s Study/Library was made more festive with two enormous Styrofoam hearts, on loan from my maternal grandmother. 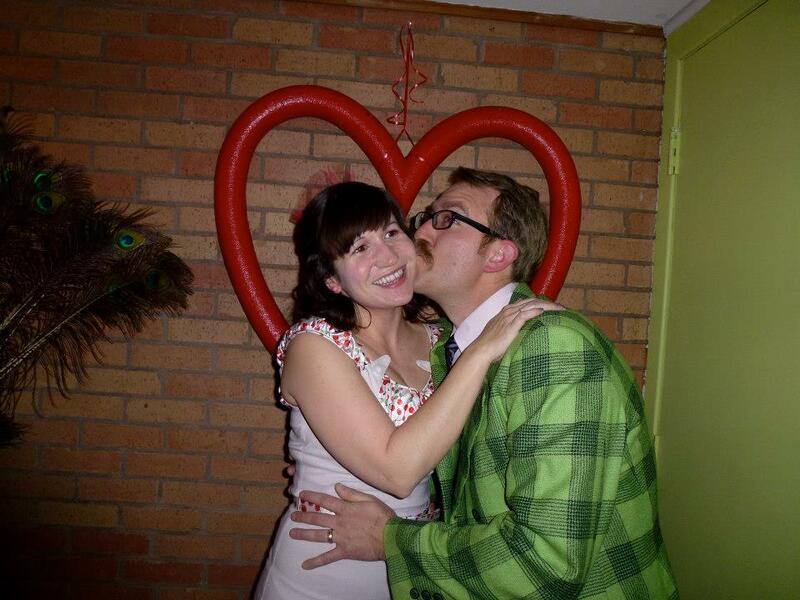 I used one of the three hearts as a background for the “photo booth” we set up in the entry way! 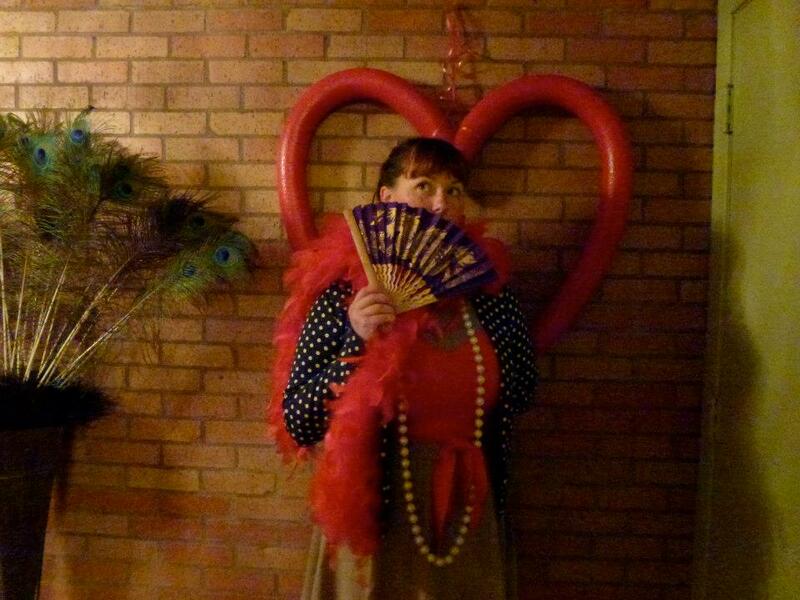 This was also a big hit, especially for those who donned some of the “costumes” provided: feather boas, oversize pearls, ladylike fans, and the token mustache guy we inherited from my grandparents’ furniture store. 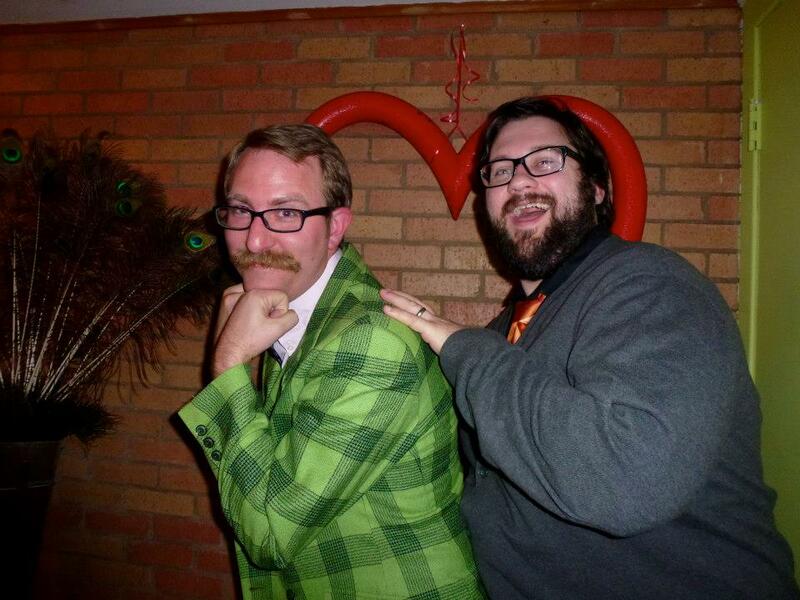 Or does Matt love this guy?? Nope. It’s this pretty lady! My anti-Valentine’s friends came too! I collected some pre-made Valentine’s cards, along with paper, glue, scissors, stickers, GLITTER, doilies and so much more! 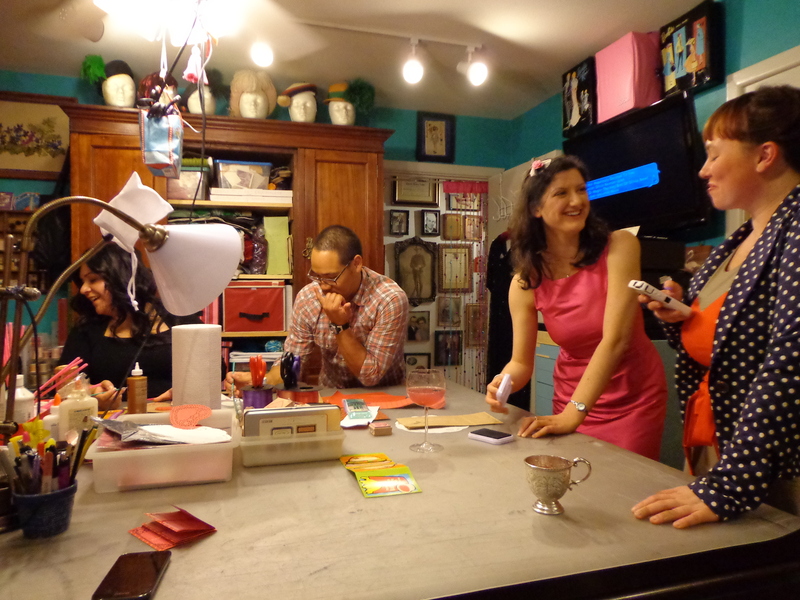 Giving people something to do before and/or after dinner encourages creativity and conversation. Plus, if you haven’t put together gift bags, they have something to take home that will remind them of how much fun they had! 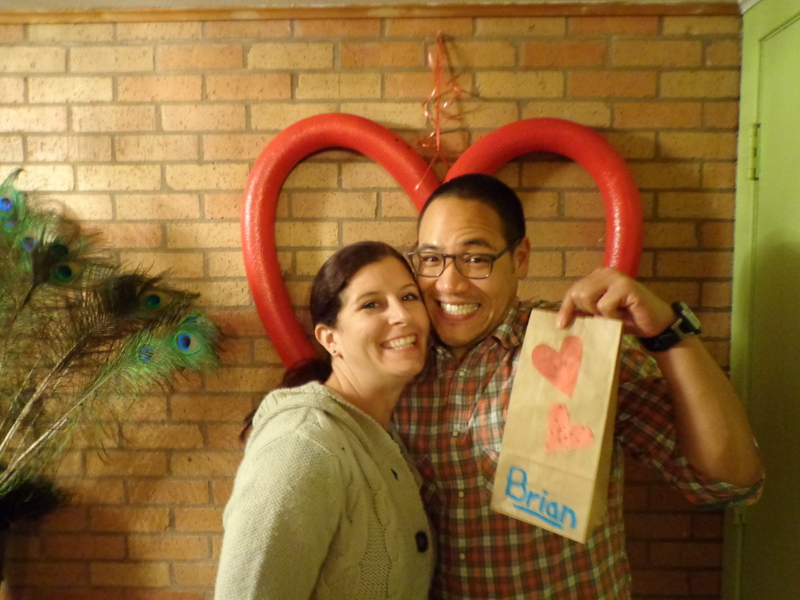 Brian was super excited about his Valentine’s bag! 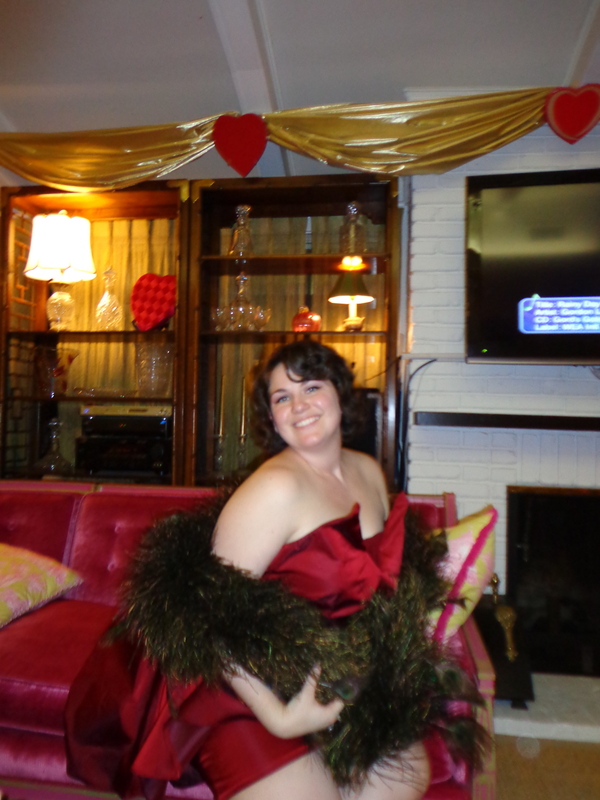 Also, for this event, I decided I needed to create an ensemble that would be memorable and gorgeous. Thankfully, my mother has a pattern collection that would rival that of Vogue or McCall’s, so I quickly found a pattern that NEEDED to be real. Isn’t everything about this incredible?? 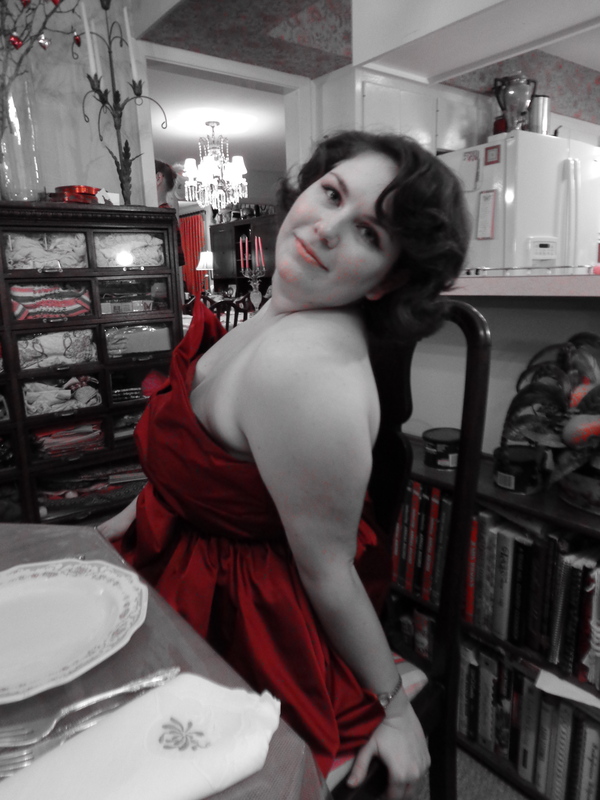 So, Mom also had this fab silky red fabric that happened to be a shade darker on the “wrong” side, which was PERFECT for this dress, and I didn’t have to line the peplum! It was one of my first attempts at dealing with boning (re: buy boning that hasn’t been wrapped in a circle for 20+ years), and sewing this particular pattern. 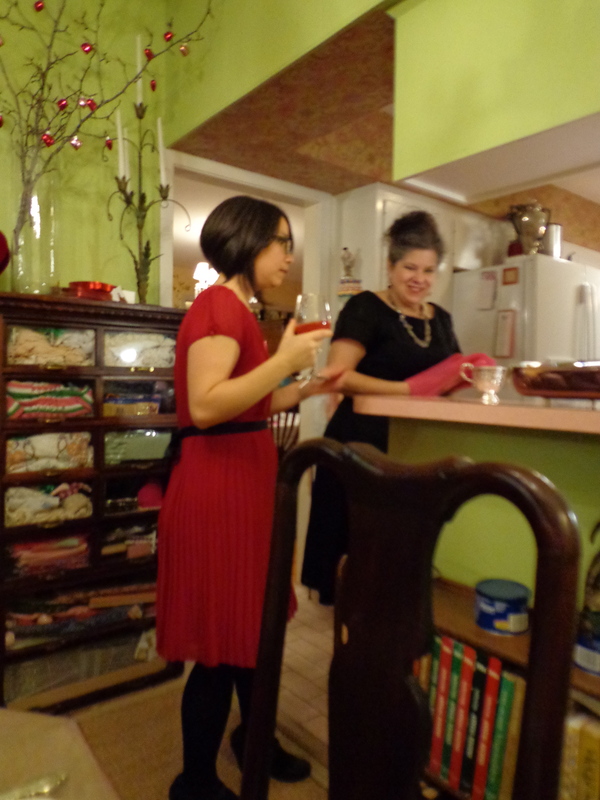 It went pretty well, though, and the final product turned out to be quite the conversation piece! Worn with my PEACOCK FEATHER BOA! 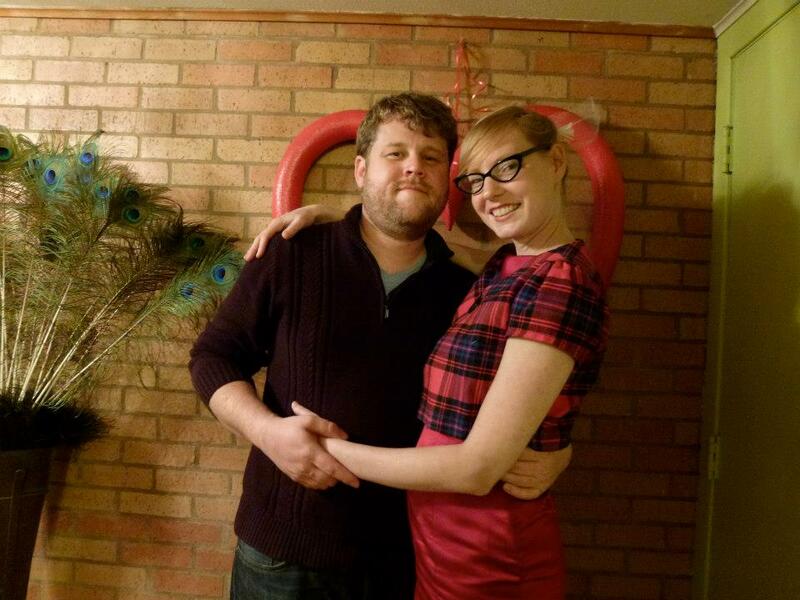 This party was a wonderful way to spend Valentine’s Day! 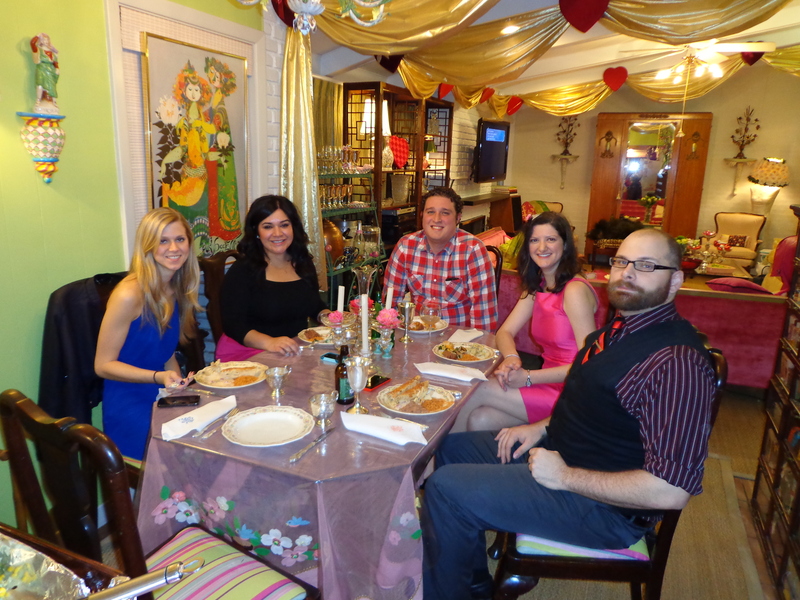 Everyone had a wonderful time, contributed so much, and were able to wallow in the evening’s romantic theme. 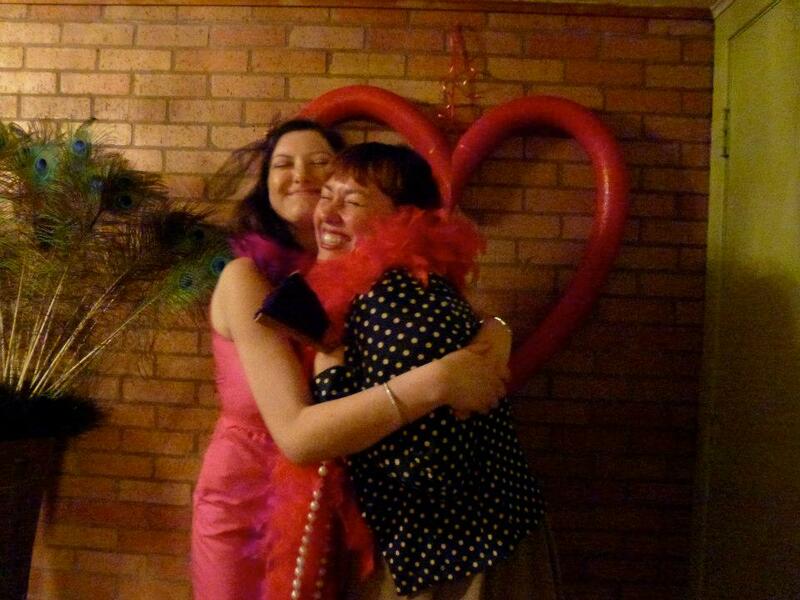 Have you been to a Valentine’s Day party? 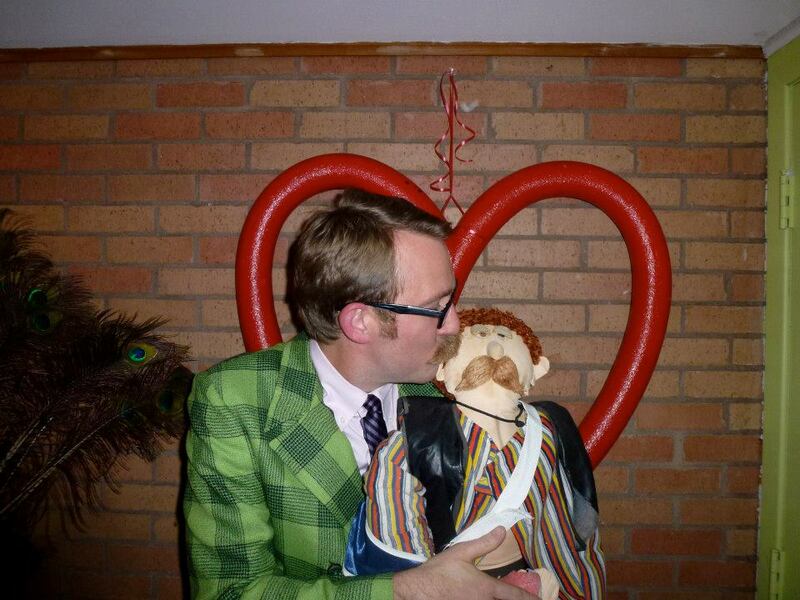 Do you and your other celebrate Val-D? 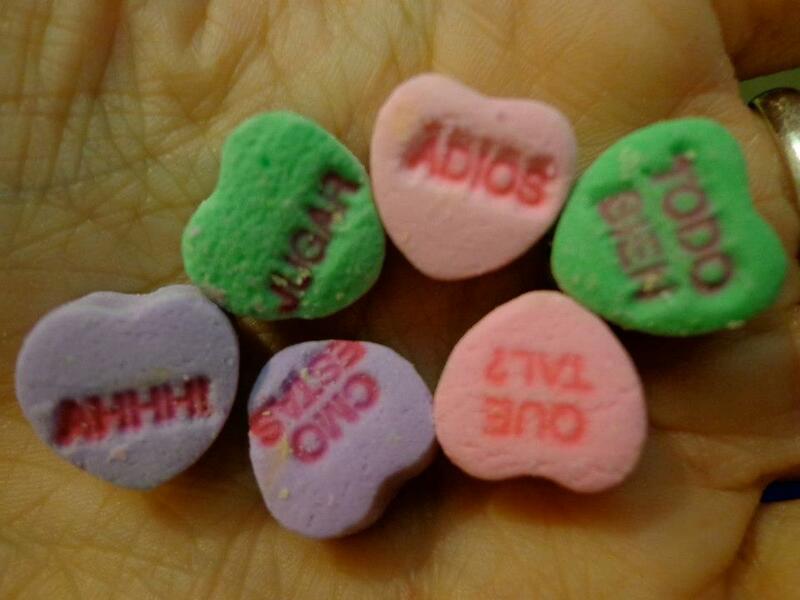 Do you have an anti-Val-D tradition? Next Post New Dress! 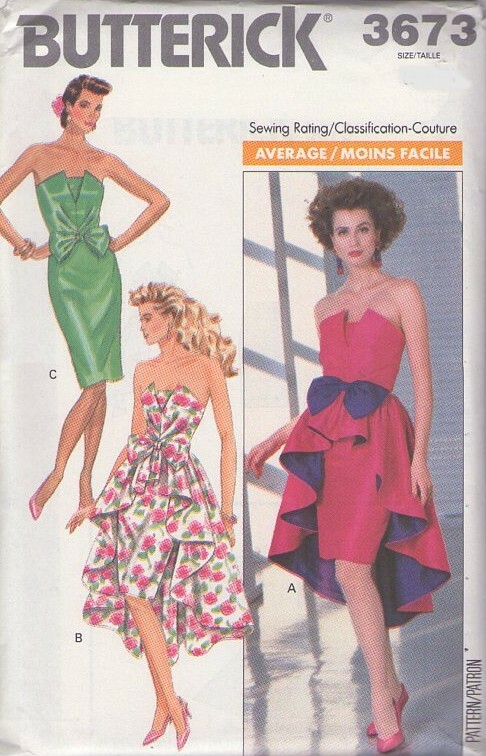 Retro Butterick 5880!